The laptops that accommodate Intel Core i5-8250U and Intel Core i7-7500U CPUs are in the same price range so it is only fair to compare the two processors in order to find out which is the better one. For the purpose of this comparison, we are going to compare their results in our ranking based on 3D rendering (Cinebench 11/15), Adobe Photoshop and Raw performance (Fritz) tests. When we look at the graph below, there are certain things that catch our attention. 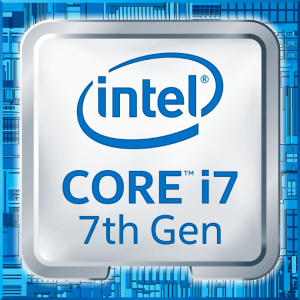 First off, quite expectedly, the Intel Core i5-8250U is faster and better compared to Intel Core i7-7500U. You can see that the performance gap is around 50-60% in the benchmarks we have conducted. In addition, the actual real-life performance of the Intel Core i5-8250U is the impressive 63% higher than its competitor. In other words, it handles the same task as the Intel Core i7-7500U around 7 seconds faster, which is quite the difference. Overall, Intel Core i5-8250U is faster and better than Intel Core i7-7500U but this was quite expected. The former scores around 50% better results, while real-life tests show above 60% increase. All of this makes us think that Intel Core i5-8250U is the absolute winner in this battle. If you follow this link, you can read another Intel Core i5-8250U comparison. please do one for amd vs Intel latest.